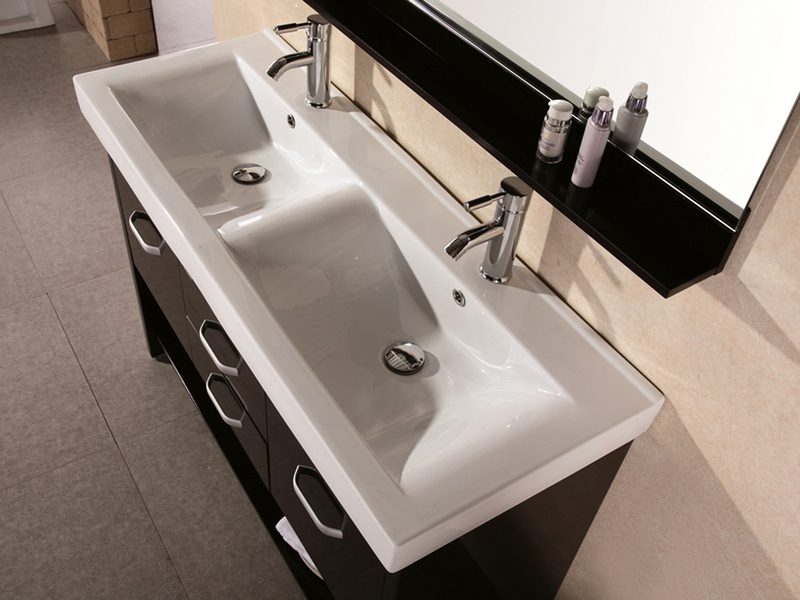 Made from solid hardwood with a rich Espresso finish, the 48" Citrus Double Vanity combines function with form to create a vanity that brings style and convenience to your bathroom. 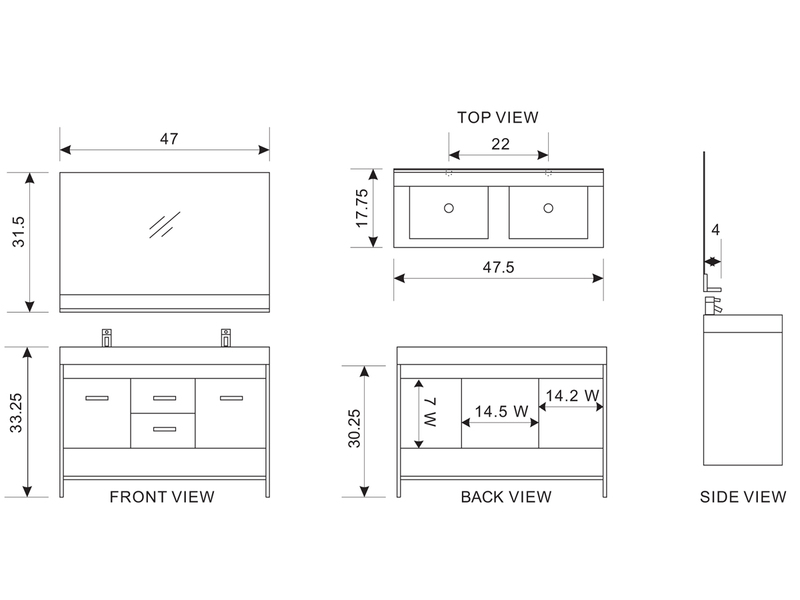 Its cabinet features 2 single-door cabinets and 2 pull-out drawers, with a unifying lower towel shelf for displaying accent pieces or storing clean towels. 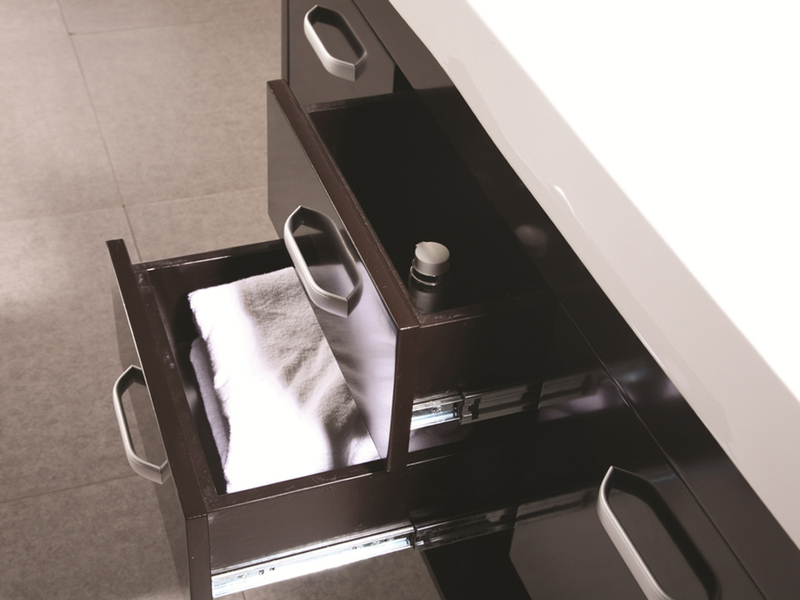 The integrated porcelain sink top makes a large sink space to prevent spills while the matching mirror offers a shelf for housing your sink-side necessities!